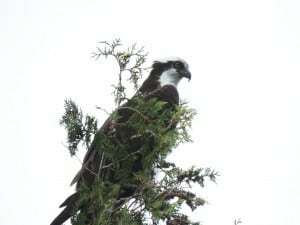 Each year around our property on Buckhorn Lake we enjoy watching the Ospreys and their young as they learn how to fish. As we know, most fly above the waters and eventually dive for the fish. 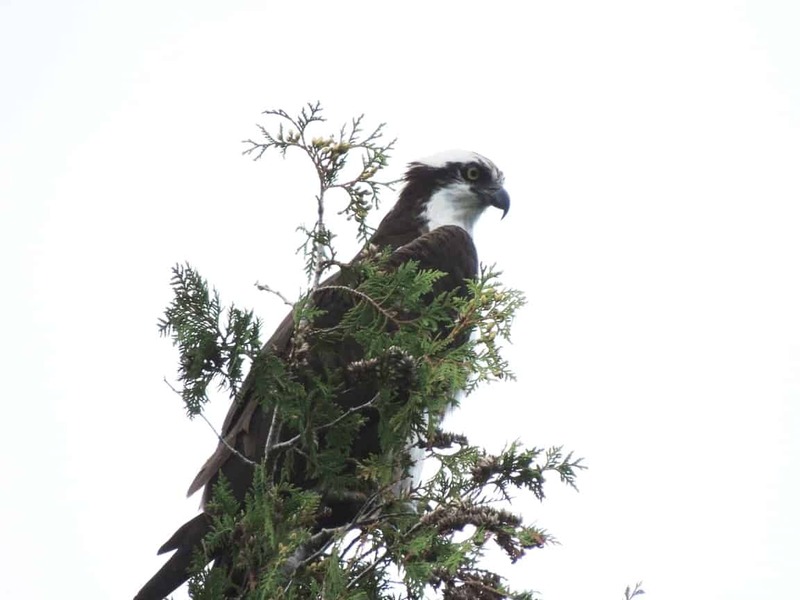 This year we have been fortunate to watch a new born and for whatever reason, it loves to stay on top of our cedar tree in the bay and wait patiently for fish to show up. Then it dives and collects his reward. Hoping one day to get the actually dive!